The Philippine Consulate General in Los Angeles is pleased to inform you that the registration for the 2019 Very Important Pinoy (Ambassadors’) Tour and the Filgrimage 2019 is now open. For this year, the VIP Tour showcases the Philippines as a prime destination for tourism, cultural heritage exploration and, as well as, for an opportunity to explore business and investment, as it features the top tourist destinations of Manila, Bataan, Clark and El Nido, Palawan from July 14 to 21, 2019. Following the VIP Tour is Filgrimage 2019, an optional three-day tour package geared mainly for young individuals who wish to participate in social tourism activities in the Philippines. Filgrimage participants will have the chance to visit Fort Santiago, Corregidor and an underprivileged community in Cavite for an immersion activity from July 22 to 24, 2019. Movie Night for a Cause, a Success! The meaningful Movie Night is done! It was a mission accomplished!!! 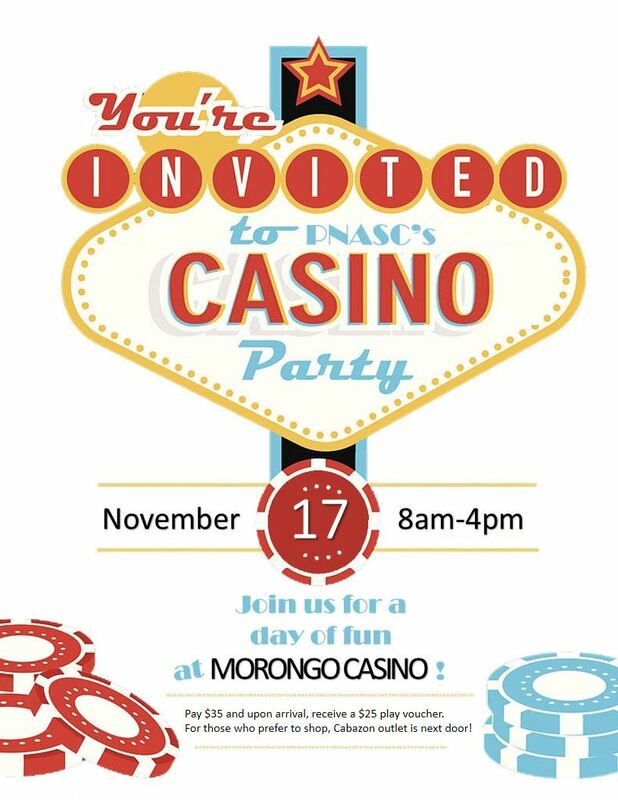 Thank you to ALL PNASC & PNASC WEST LA members, families and friends who attended, donated, and shared the fun!!! This primer movie date project led by Ms. Rochelle Lacuesta was Jam Packed! 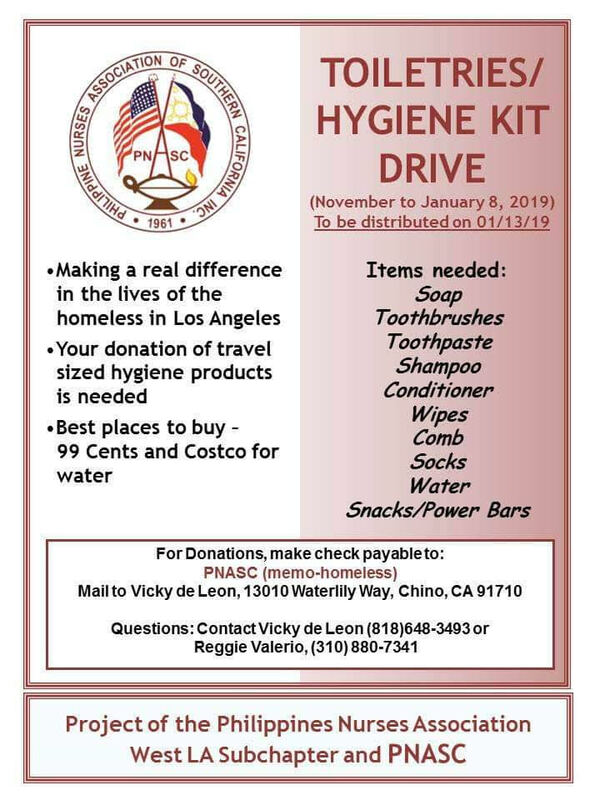 All proceeds of this fundraiser will go to PNASC West LA’s project— Toiletries and Hygiene Kit Drive for the Homeless headed by Ms. Vicky de Leon & Ms. Catherine Rubio. I’m sure that in some way, the movie had positively touched each of the attendees... All can take home beautiful lessons in the movie, whether YOU are grandparents, mothers, fathers, children, friends, husbands, wives, sons, or daughters. Again, thank you for being a blessing to our homeless brothers and sisters. Advance Merry Christmas & Happy New Year! PNASC's The President's Report 2018 has been released. Please visit our President's Corner for more information or click [here] for the PDF version. The Project to introduce the nursing profession to high school students was a SUCCESS!!! 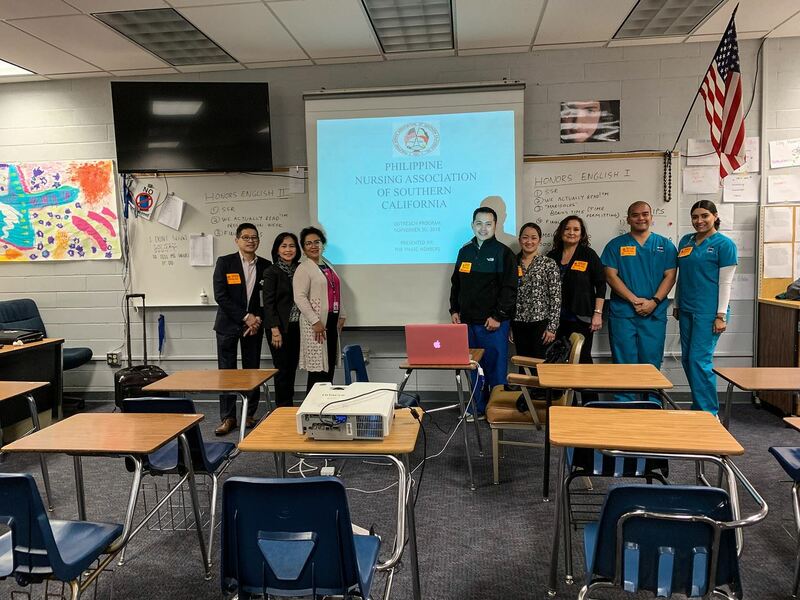 Approximately 130 Filipino students (5 classes) from Cerritos High School and GAHR High School attended the PNASC led project headed by Ms. Dory Tillano and Ms. Gina delos Reyes in coordination with Ma’am Mizriam Oliva, a Filipino teacher from the ABC School District. Volunteers in this project included: Dr. Reggie Valerio (PNASC president); Mr. Roland Santos (PNASC President-elect); Ms. Patricia Mercure (Assistant Director of Nursing, CNI College); Ms. Darlene Ruiz and Victor Eleazar (ADN students, CNI College). 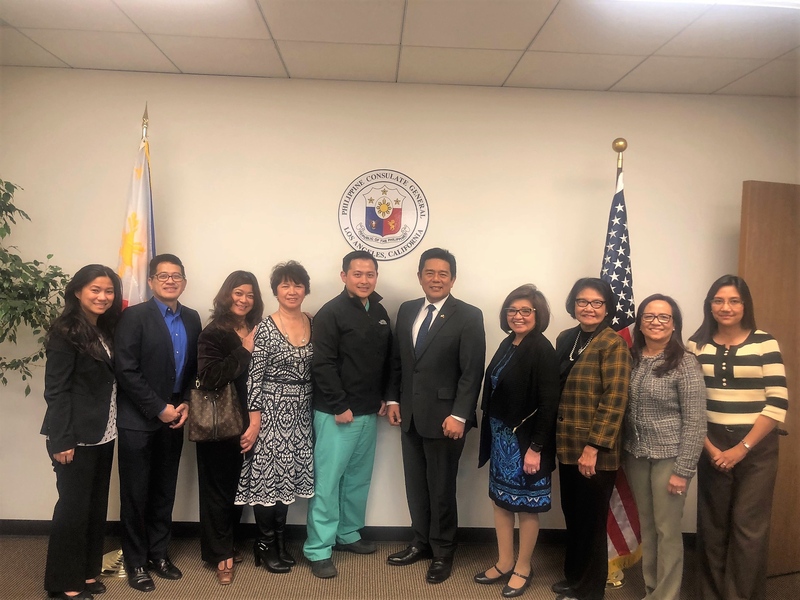 Last Tuesday, November 13, 2018, PNA Southern CA led by President Dr. Reggie Valerio and PNASC West LA Subchapter President Victoria de Leon, fulfilled its civic responsibility with a Meet and Greet of the Philippine Consulate General, Los Angeles Office. Adelio Angelito S. Cruz, Consul General and Ma. Dolores C. Sales, Cultural Officer and Consular Assistant graciously met with us. It was a very productive meeting. 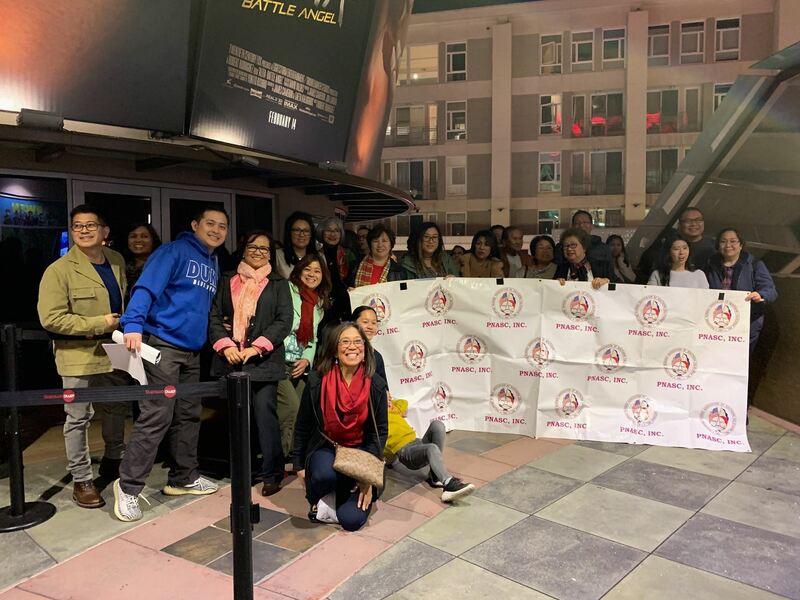 Collaboration with the Los Angeles Philippine Consulate produced active participation in community outreach and collaborative partnerships. More to come. 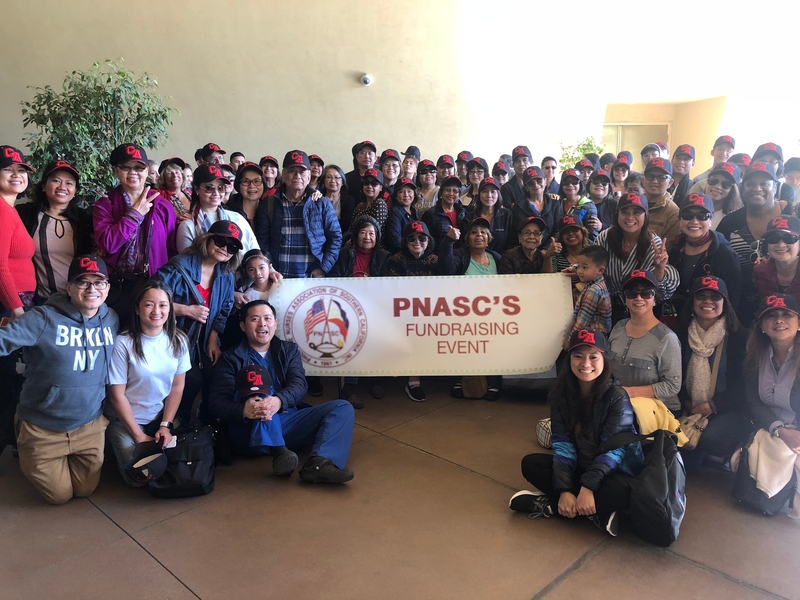 The 2019 PNASC Scholarship is now available in our Forms page. Please log in to your PNASC account and click the forms link, within the Members Only section or at the bottom of the page. Not a member yet? Please click the "Join" menu and fill up an application.